This is another gem from Mrs. Weiner. I love meringues. I could eat like a hundred of these. Light, airy and best of all- chocolate chippy. Twice I’ve had the thought that these would be prettier if I piped them through a pastry bag. 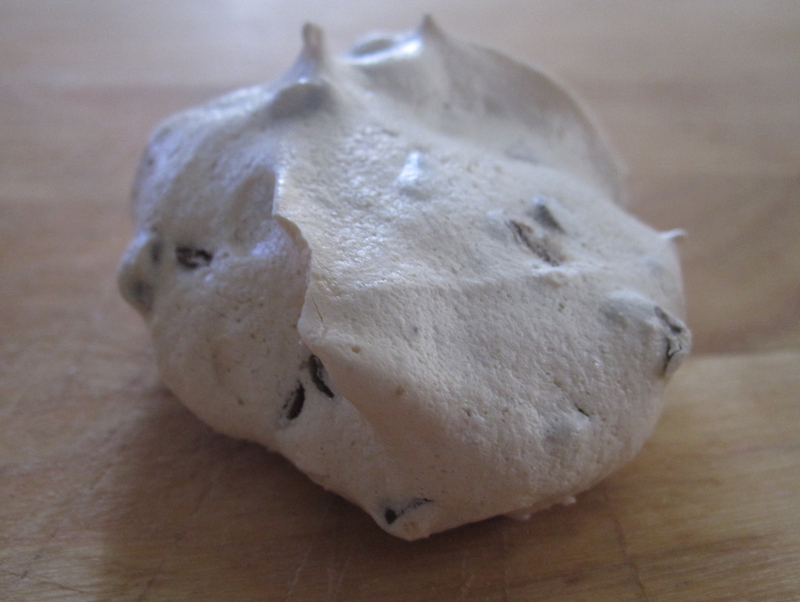 While this works for plain meringues, the tip always gets clogged w. choc chips. So don’t even bother, just spoon them out. P.S. When I was in London, I had a meringue the size of your face. True story. Anonymous’s mother (and father, too, actually) LOVED these. only 2 weight watchers’ points each! shout-out to my dad’s christmas cookies!! MORE MASON JARS PLEASE. WHAT ELSE CAN YOU DO WITH THIS GREAT UTILITARIAN OBJECT? !